Here’s a video postcard of the Matzke Fine Art Gallery. Some might call it a park, others a gallery. 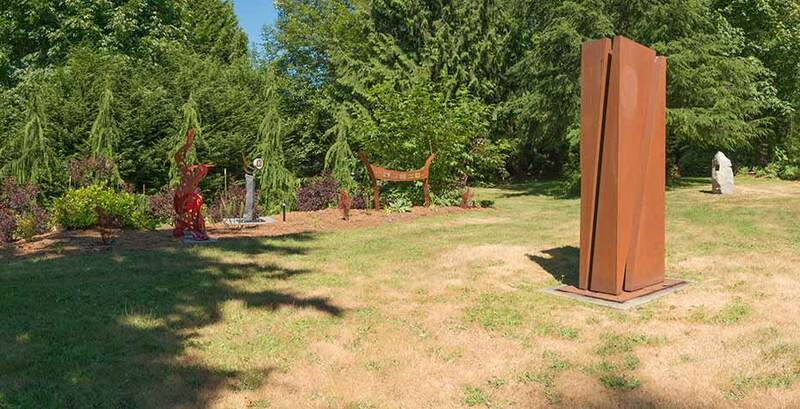 Either way the outdoor sculpture display at Matzke Fine Art Gallery on Camano Island is an experience. 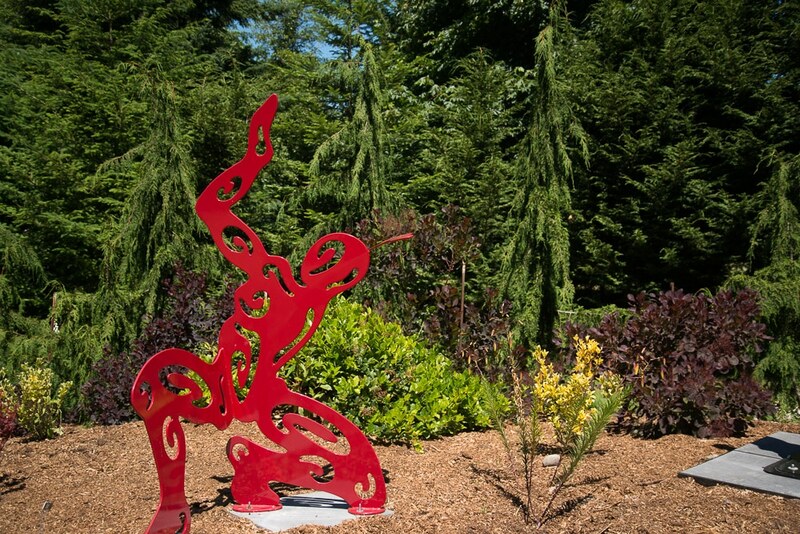 As you walk the 10-acre site, you follow trails and emerge into small groves of art. The trails themselves are lined with artwork nestled among the Northwest foliage. A shaft of sun though cedar trees might highlight a bronze sculpture, while a stone fish coolly languishes in the shade near a stream. One sculpture may serve as a portal for viewing other art, while yet another nestles serenely among springtime flowers. Matzke opened this gallery after running a more traditional indoor gallery elsewhere on the island. 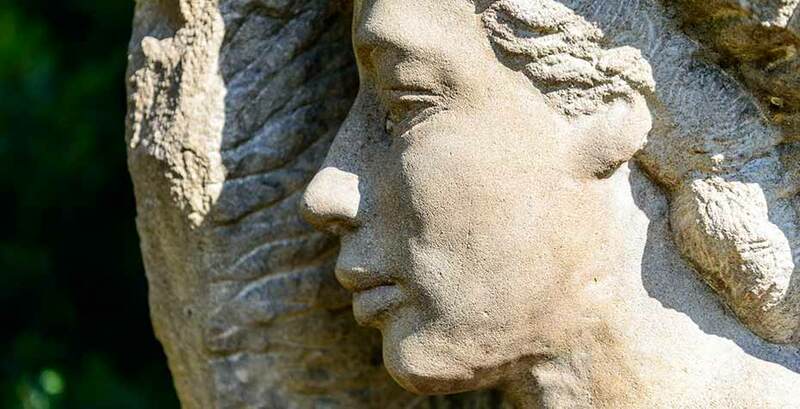 She holds true to those roots as well with a 3000 square foot indoor gallery featuring painting, small pieces of glass and stonework, and a few statures that would be comfortable inside any home or business. 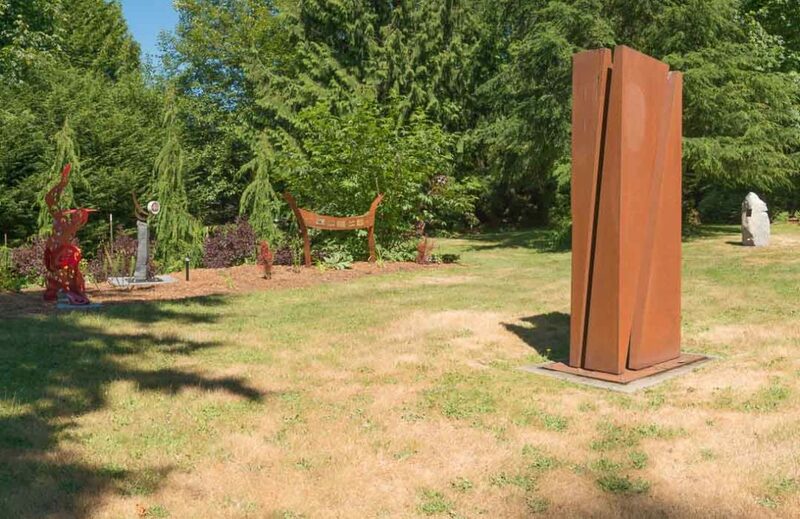 The Matzke outdoor sculpture garden features several acres of art in a park-like setting. But, combining the traditional display with an expansive series of exterior displays and then putting it in the woods on an island is what makes the gallery unique. Besides, with nearly three decades as a gallery owner, Matzke has a loyal following in Seattle and elsewhere, and clients are more than happy to make the drive to experience the gallery’s latest consignments. If you’ve found yourself uncomfortable with the trappings of traditional galleries, then this place is for you. While walking through the park-like trails, the sun might highlight something in the distance, or you might turn a corner to find a delightful surprise piece staring back at you. She designed and built the trails herself and confesses, “I always made trails, even as a kid . Deciding “what to clear, and what to leave was really a lot of fun,” she says. Artists from all over the world have consigned their pieces to her gallery, and when a piece is sold, something new will eventually take its place. A sculpture by Alisa Looney displayed at Matzke Art Park. The landscape is evolving as well. She’s concentrating upon putting more flowers in the gallery’s gardens and will try to move a tree during the winter. So, when you come, be prepared for both an indoors and outdoors art experience, two ways of celebrating art in ways that best show off the individual works. The gallery is open weekends and other days by appointment. To reach the gallery, take SR 532 to Camano Island. At Terry’s Corner, bear south to East Camano Drive. Follow it to Elger Bay Drive until it becomes South Camano Drive. Turn left on Blanch Way and follow the signs. You can find out more about the gallery at the gallery website.